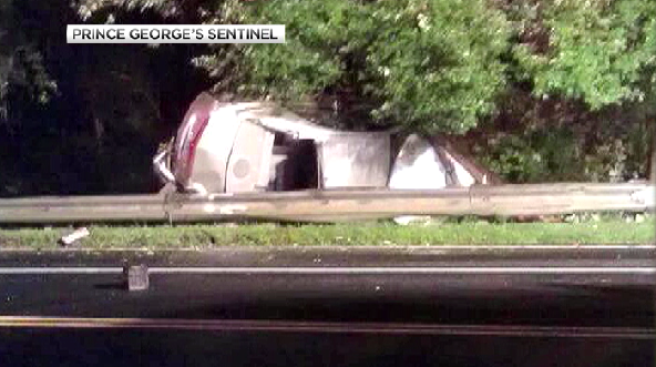 Prince George's County Police are investigating an accident that seriously injured two people. The vehicle went off the road around 1 a.m. Friday at the intersection of Piscataway Road and Temple Hill Road in Clinton, Maryland. Both the man and woman in the car were injured. The man's injuries are considered to be life-threatening. Authorities have not said whether the woman's injuries were also life-threatening.